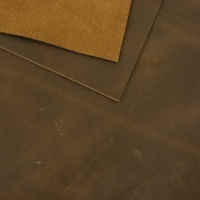 This is a 30 x 60cm rectangle of Gingerbread colour natural full grain leather, 1.8mm - 2mm thick, which retains the original growth marks, scars and hair cell texture of the cowhide. 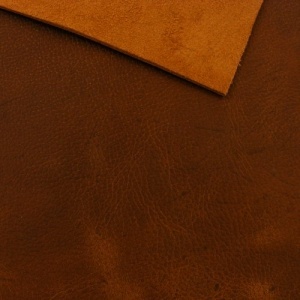 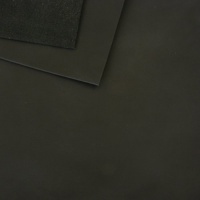 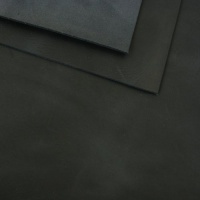 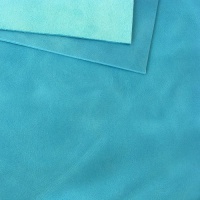 It's a waxy leather, highly suited to footwear, bags and cases and outdoor use such as in bushcraft projects, where its natural appearance is ideal. 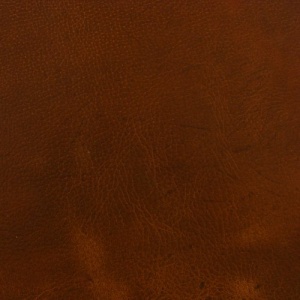 This leather has an attractive creased surface texture and it also has a 'pull-up' which means that it becomes a lighter colour when folded or scratched, adding to its character over time.